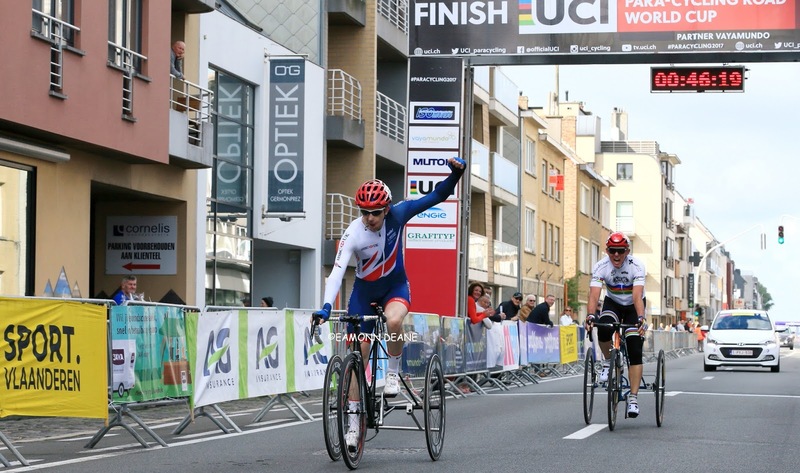 A gold medal in the UCI Para-cycling Road World Cup T2 road race for Craig McCann showed a rider in fantastic form, winning only his second world cup medal in as many weeks. McCann said that his performance in the Italian road race last week had given him a massive confidence boost and that he wanted to push on to win a ‘different colour next time’. 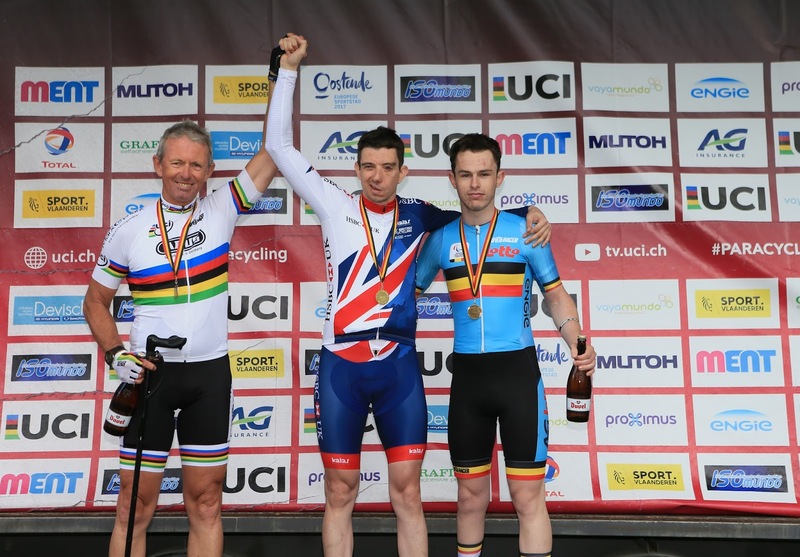 This second world cup medal underlines the ability McCann has as a bike rider; he made the switch to cycling from fencing following the London Paralympic Games, and his hard work seems to be paying dividends. The trike rider has found his form in the road race, after finding himself unable to medal in the world cup time trial events so far this season. 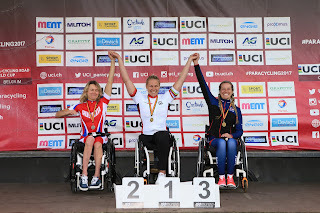 Mel Nicholls, who won a bronze in the H4 time trial on Friday, won a second bronze medal in the road race on Saturday morning. 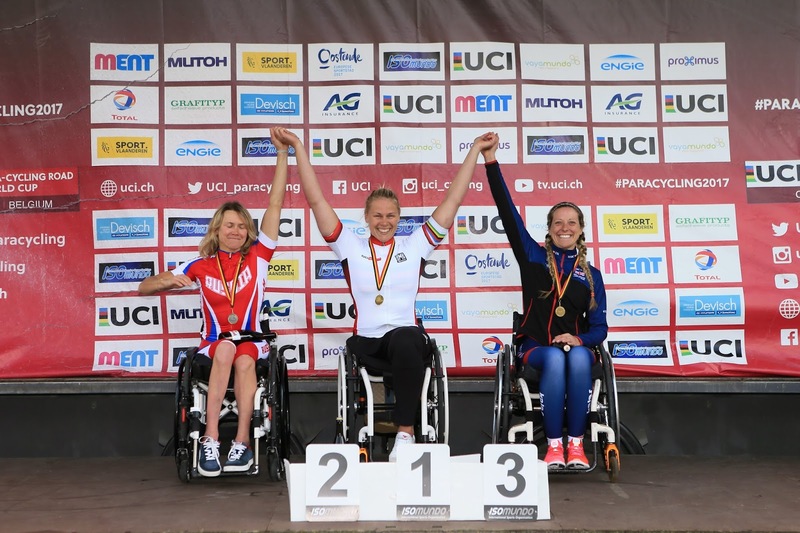 The Ostend world cup is Nicholls' first outing for the Great Britain Cycling Team and she has proved herself to be an excellent addition to the squad after her confident performances. 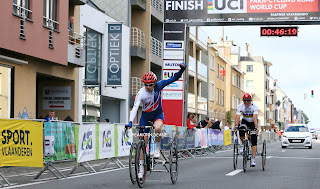 Para-cycling programmes manager Jon Pett said it had been a very successful day for the team. 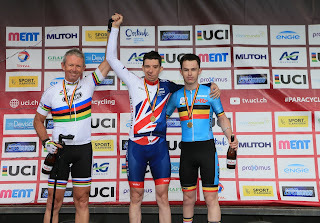 "It was great to see Craig deliver his first world cup win in a strong field, and for Mel to follow up yesterday's performance with another bronze medal" he said.